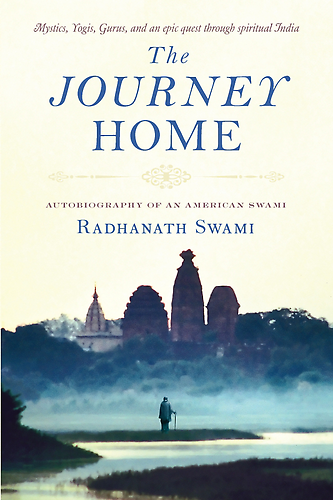 Question to Radhanath Swami: What happens to those who chant without understanding the holy name? Is their chanting fake? 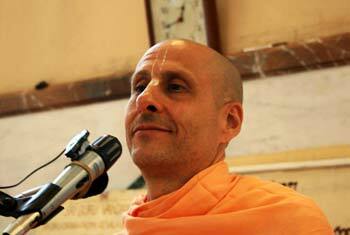 Radhanath Swami Answers: The holy name is like fire! 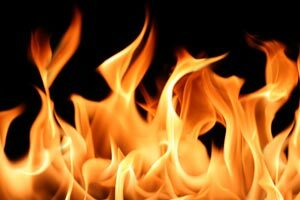 If a little baby, who doesn’t know anything about fire touches fire, what happens? And if the chief fire marshal of Mumbai touches fire, what happens? Same thing (smiling); they both get burnt because fire burns. So, even if a person doesn’t know anything about the holy name, if they hear the holy name or if they chant the holy name, there would be a powerful spiritual effect. Srila Prabhupada, our Gurudeva, tells a story about Bhaktisiddhanta Saraswati Thakur who was giving some lectures in a particular place, and two newspapers wrote articles. One of them was seriously criticizing the devotees. When Bhaktisiddhanta Saraswati Thakur read both the articles, he said the article criticizing the devotees was much better. How was that better? Because the article criticizing had the name of Krishna so many times, while the other mentioned the name Krishna once. So whoever read that article was going to keep hearing the name Krishna, and every time they heard the name “Krishna”, they would be connected with Krishna and be purified. As we make some spiritual progress, Krishna reciprocates with our attitude, our character, and our sincerity as well. Though the holy name is always pure, our attitude very much accesses the grace of the holy name.